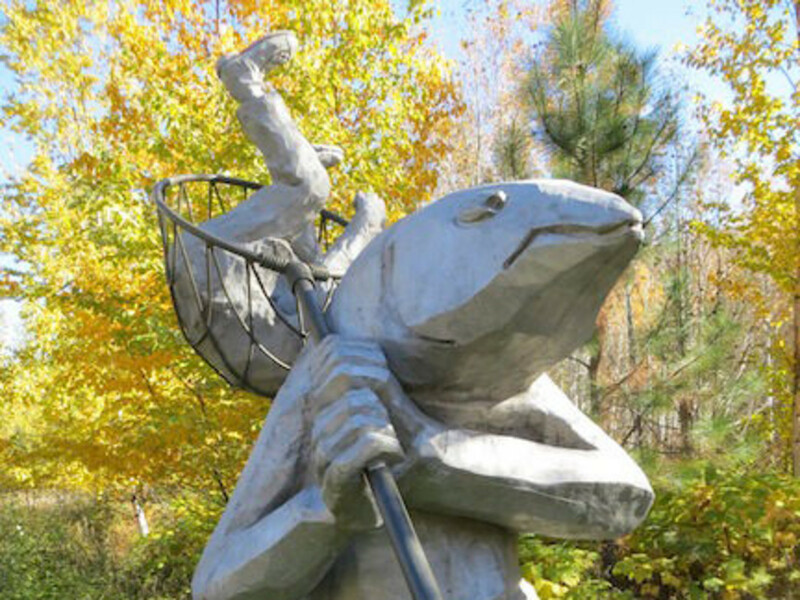 What do you get when you combine great art, great food, and the great outdoors? 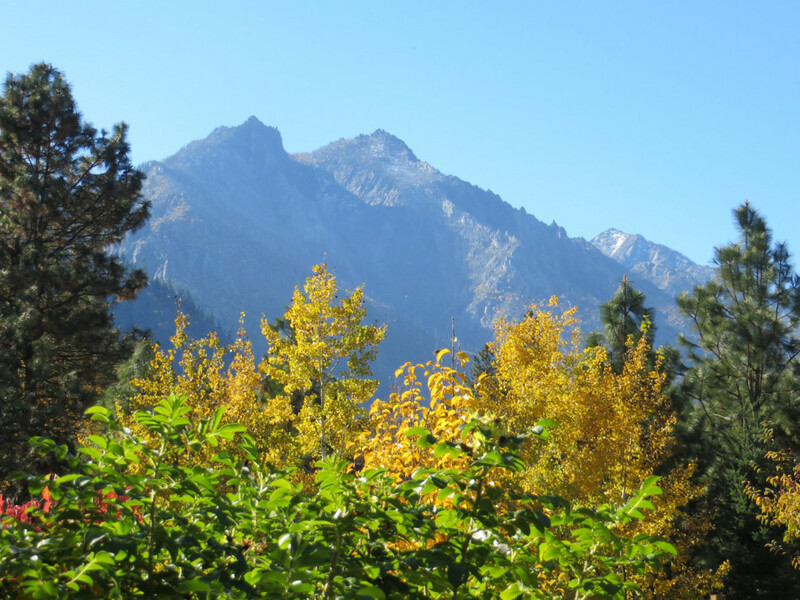 A cozy hideaway nestled in the Cascades called The Sleeping Lady Mountain Resort in Leavenworth. 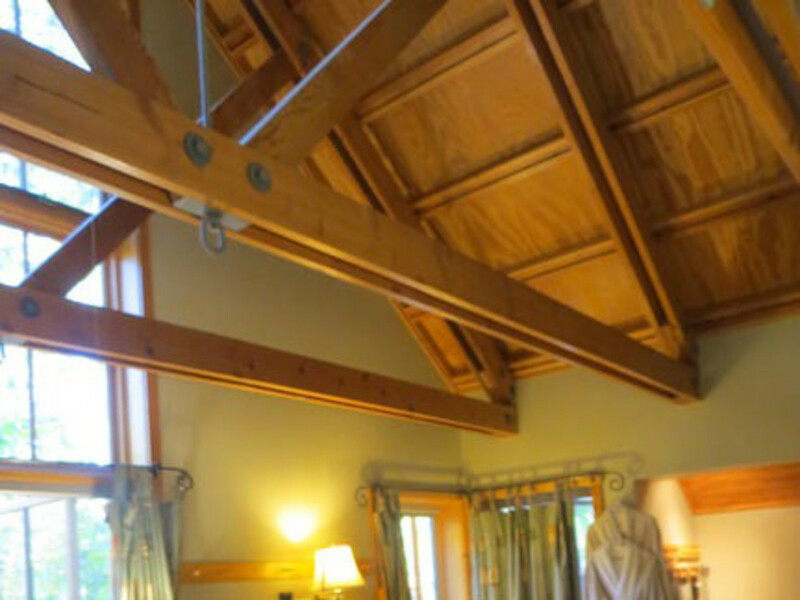 It’s the perfect place to stay if you’re skiing at Stevens Pass, hiking the cascades, or river rafting the Wenatchee. Named after an unmistakable profile of a beautiful sleeping woman in the mountain silhouette, this resort is both rustic and luxurious. The Sleeping Lady offers another side of the town known for it’s Bavarian theme, a quieter side with a back to basics nature vibe. 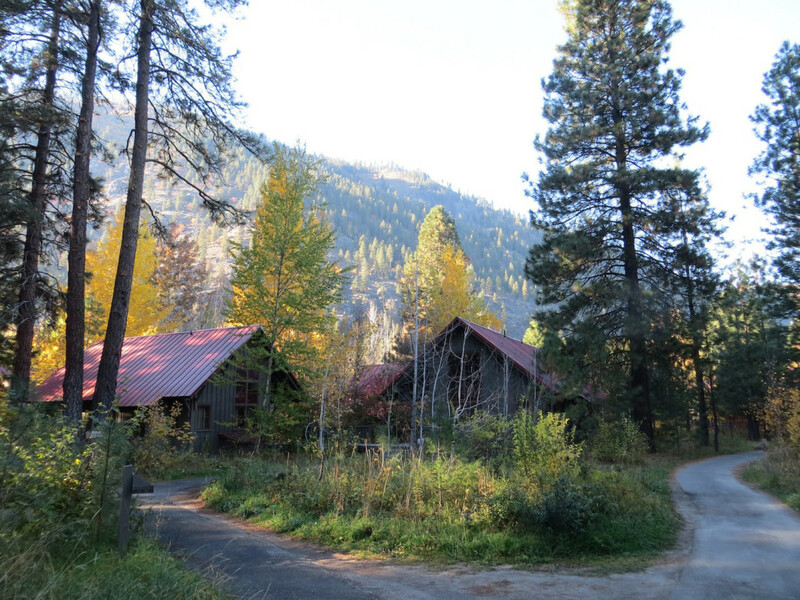 The eco friendly resort is situated in a forest of soothing trees and includes tv-free cabins, a swimming pool, organic vegetable garden, restaurants, and winding pathways throughout the grounds dotted with art sculptures, like an icy Chihuly perched on a boulder and a giant fish with a man caught in his net. Hiking and cross-country ski trails are right out the door. Endless outdoor activities are available from horseback riding, mountain biking, trail running, fishing, rafting, snowshoeing, and rock climbing, depending on the season. People use the Sleeping Lady as a chill-out spot after longer expeditions and adventures, like backpacking the Enchantments. Massage is available at the Aspen Leaf Spa, and you can relax tired muscles in the hot pool and feast on farm to table meals. The Kingfisher restaurant has a generous buffet filled with healthy organic food so delicious and plentiful it will make you giddy. 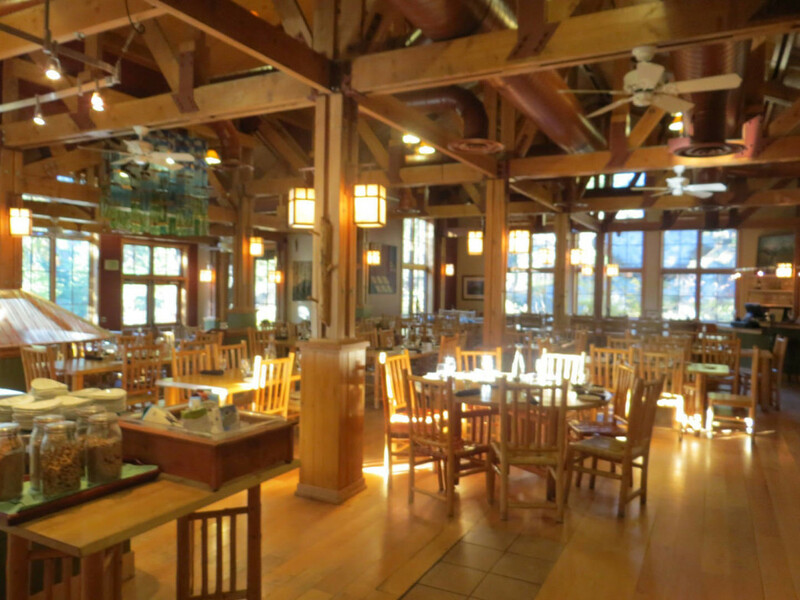 Wood-fired pizza, grass fed meats, and plenty for vegetarians, vegans, and the gluten free are enjoyed slow-food style in a lodge atmosphere. Breakfast consists of organic coffee, home made breads and pastries, free range eggs, and anything you could want to fuel up before you start your adventures. Blackboards let you know exactly where your food was sourced, and they strive to source local as possible, often from their own garden. 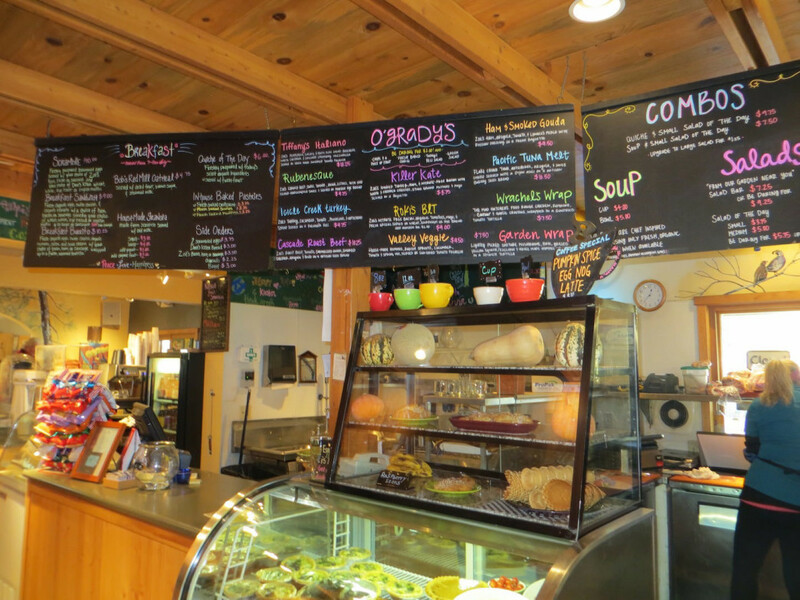 For lunch, O’Grady’s Pantry offers organic soups, salads, sandwiches, lattes, and outrageously delicious and gigantic Cowboy Cookies not to be missed. Dine alfresco at one of the picnic tables and take in the mountain scenery or enjoy the fireplace and cozy atmosphere inside. Children and canines are welcome and encouraged. You’ll find cute little touches all over the property to delight children like the illustrated kid-sized table and chairs at O’Gradys, a Puppet Theater and games in the rec center, and colorful salmon sculptures. It’s fun to make a game of spotting all the animal sculptures that blend in with the surroundings. And for Fido, a doggie bed, bowls, and treats. The Sleeping Lady reflects the values of owner Harriet Bullitt, an 89-year-old horse-back-riding environmentalist that commutes with her dog via a repurposed ski lift back and forth over Icicle Creek to her home opposite the resort. She’s committed to the community and the environment, supporting important causes like the recent 522 GMO labeling campaign, and founding the Icicle Foundation to support the arts and protect the upper Wenatchee Valley. A certified B Corporation, The Sleeping Lady is part of a movement to redefine the roll of business to one of environmental stewardship and social responsibility.